Last week in The Crash, Jason and his new Engineering Manager were put on the spot by a client concerned about the quality and safety of some of their car parts. This week, the pressure is piled on, and Jason's receptionist gets some bad news too. Once again, Gaby was overwhelmed by the noise of the machinery, and Brad's conversation with Harry was lost to its clattering.The noise was almost painful, but by dint of standing very close to Damian and far back from the machines themselves, she was able to engage the young man in conversation while his father and Brad stood near the largest press, engaged in intense discussion, intermittently supported by arm-waving, pointing, and picking up bits of metal to demonstrate a point. "Have you always wanted to work in metals?" Gaby asked, straining to make her usually gentle voice heard above the ear-wrenching grinding and scraping. The story so far... Jason Jackson-Jones, founder and Managing Director of Triple J Auto Parts of Sheffield, has just had to replace his Engineering Manager - the previous one quit after a dispute over quality and safety issues. In this chapter, Jason and his newest recruit, Brad, are put on the spot by one of Jason's oldest clients, Harry. Can Brad help Jason scramble out of the hole he's dug for himself, or will this be the beginning of the end for the self-made businessman? 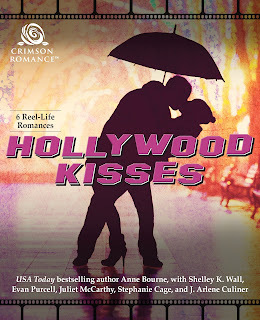 That's right... it's time to roll out the red carpet for the stars of our show... Hollywood Kisses is out today! It was still nearer dark than light when Brad pulled up in the car park, which was why he didn't initially notice more than the vague shadow of a shape in the small, bubbly blue car by the door.As he locked his car door, he was still preoccupied with wondering why he was here, and whether he was making the biggest mistake of his career.He was fairly sure that Triple J Auto Parts weren't keeping to the standards that they should be, and if the boss was that sloppy he wouldn't be doing much good by shackling himself to a sinking ship.On the other hand, as Gaby had pointed out during their chat in the boardroom the previous afternoon, if he just walked away, he'd never know what a difference he could have made. And in all conscience, he couldn't just leave. 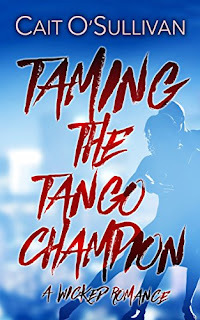 This week I welcome Cait o'Sullivan to talk about the book I wish I'd written, Taming the Tango Champion. Isn't that a fabulous title! Cait, would you like to share the cover and a bit about the book? On return from a trip around the world, TV presenter, Ava Whittaker, has a baby by Matthias de Romero, Argentine Tango champion, hacienda owner, and the man she loves. The problem? He doesn't know. 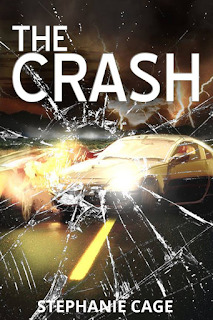 Fast forward two years, and Ava reluctantly agrees to be a contestant on a new dance show on TV, but to her shock, Matthias – the man she never expected to see again – is one of the judges. Matthias de Romero is leaving his beloved stallions in Argentina to assuage his pride. Two years previously, the one woman he thought he could care for walked out on him after just one glorious night. He arrives in London ready for revenge. Will Ava’s secret cause their intense feelings to burn out, or fan further the flames of love? Jason hit the alarm clock so hard it skittered off the expensive pine bedside table and fell with a soft thud onto the deep pile carpet.It was still dark enough that he couldn't see the infuriating pinkish shade of carpet, chosen by Terri, he was sure, expressly to make him feel uncomfortably out of place in their shared bedroom.The dawn was just beginning to peek around the edges of the thick burgundy curtains.Talking of burgundy, why on earth had he gone so overboard on the wine with dinner last night?